Violence against journalists has been growing. The last two years have been tough on the media fraternity. Two more names were added in March to the list of reporters killed by Taleban violence: Nils Horner, a radio journalist reporting for Radio Sweden, and Sardar Ahmad, reporter for AFP. Both were gunned down in Kabul. On Jan 26, 20-year-old Ahmad Shahid was killed in a blast in the capital’s Karte Naw neighbourhood while he was on his way to work in Radio Nawa and Saba TV. 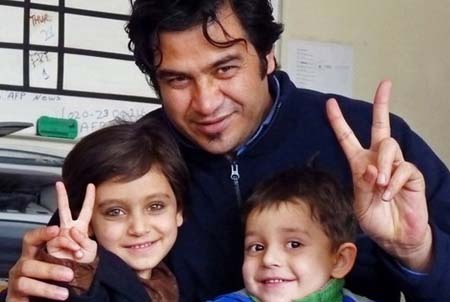 Three days before the mutilated and tortured body of journalist Noor Ahmed Noori – who worked for Radio Busd, and until last year had also worked for the New York Times – was found in the capital of Helmand province. This was not all. 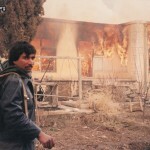 A local FM radio station Qalam (pen) was blown up on Mar 24 in Kama District, Nangarhar. There was no loss of life but the building and all the equipment inside were destroyed. The attacks have been condemned by journalists unions. Senior journalist Lal Pacha Azmoon who heads the Journalists and Writers’ Union in the East Region (Nangarhar) said it is unacceptable that the parties in the war practice their revenge on journalists. Sardar Ahmad in the AFP office in Kabul hours before he, his wife and two of his children were killed in the Serena hotel attack on March 20, 2014. Sidiqullah Tawhidi, head of NAI which supports open media in Afghanistan, says apart from the killings 76 incidents of violence against members of the media have been reported this year. “Violence against journalists must come to an end”, says the website of the Afghan Journalists Safety Committee, a network of journalists and civil society activists. In the wake of the tragic killing of Sardar Ahmad more media voices are demanding the government must protect their right to do their work without fear. According to eyewitness reports, the journalist had screamed he and his family were Afghans before they were pumped with bullets. Dr Sidis Niazai, senior journalist in Nangarhar condemned both the Taleban and the government. “When a journalist cries ‘I am an Afghan’ but he is killed along with his family members, what is the rational for the Taleban’s accepting responsibility for the attack but not for the murder of the journalist and his family?” he asks. “The government is also to be blamed because it has failed to apprehend the perpetrators in every incident of violence. Instead of making arrests and interrogating the killers, the attackers are killed and their dossiers closed with their death,” Dr Niazai adds. In addition when the Taleban targets civilians and security forces with the intention of killing it is essential that some arrests are made to understand who is behind the violence, and where the plot has been hatched, he argues. Writer and journalist Ershad Raghand was also critical of the government’s role in the security challenges. “Journalists are beaten, insulted and murdered …,” he observed. The majority of deliveries are at home in the absence of medical facilities. There are few female doctors and an acute shortage of mid-wives.